Human social life is constrained and defined by our cognitive and emotional dispositions, which are the legacy of our foraging ancestors. But how difficult is it to reconstruct the social systems and cultural traditions of those ancestors? 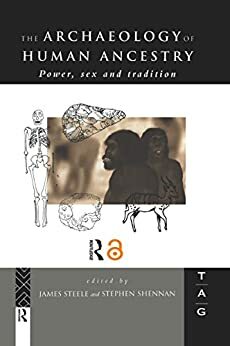 The Archaeology of Human Ancestry provides a stimulating and provocative answer, in which archaeologists and biological anthropologists set out and demonstrate their reconstructive methods. Contributors use observations of primates and modern hunter-gatherers to illuminate the fossil and artefactual records. Thematic treatment covers the evolution of group size; group composition and the emotional structure of social bonds; sexual dimorphism and the sexual division of labour; and the origins of human cultural traditions. The Archaeology of Human Ancestry is an essential introduction to the subject for advanced undergraduates and researchers in archaeology and biological anthropology. It will also be used by workers in psychology, sociology and feminist studies as a resource for understanding human social origins.